I must admit I had a little crush on this program the first time around, however this year I have whole heartedly fallen head over heels. 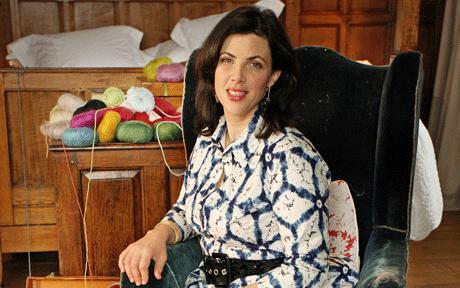 You know you are a ‘tad’ obsessed, when you’re dreaming about meeting Kirstie Allsopp in your sleep. 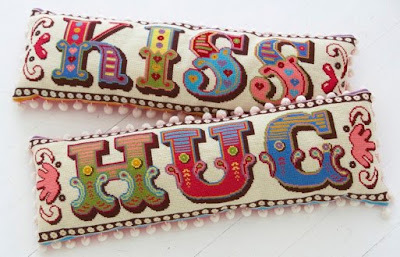 My favourite craft of the series has to be the cross-stitch cushions master class with Emily Peacock. The embroidery equally thrilled me, as it’s always been a craft close to my heart. 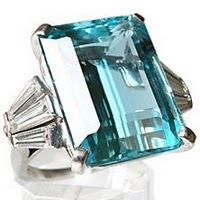 I have religiously admired week after week, and become enthralled in all the tips and tricks along the way. Equally I was smitten with Kirstie and Phil’s Perfect Christmas, it was festive and fun and all the crafty ideas and beautiful aesthetics easily charmed me. I'v been without tv since I got back from NZ, but I LOVED the first series so much. I think I might make a mug of choccie and try streaming it on 4OD! I love her! I wish I could make more. I've missed all of this series. Hope it recorded though as it looks perfect to watch with a giant pot of tea. 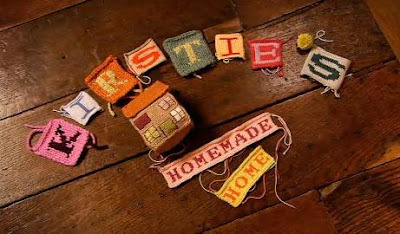 Although I initially loved this series and everything in it, I have become increasingly irritated by Miss Allsops insatiable enjoyment of every single craft she undertakes. Surely every single one of them cannot be the absolute best thing she has ever done ever!? The cross stitch cushions are beautiful. I love crafts like that. It was such a nice programme. thanks for being so lovely about my film! its great to hear such positive feedback after all the hard aork! aah yes, childhood, isnt it marvellous - take me back now!